Facebook Watch and Tough Mudder will announce a partnership for the “Tough Mudder Championship Series” today. With this deal, all of Tough Mudder’s competitive event series will have a video/broadcast home. The brand’s other media partners are CBS Sports, Sky Sports, and CW. Facebook Watch is the social media brand’s new platform for shows. Facebook will be the exclusive video platform for the new $50,000 Tougher Mudder Championship race series and weekly Tough Mudder Bootcamp fitness studio classes. The new Tougher Mudder Championship race series will feature four events beginning with the first regional event Oct. 7 at Tougher Tri-State in Englishtown, N.J., and culminating with the Tougher Mudder World Championship Nov. 4 at Lake Elsinore, Calif. The Tougher Mudder Championship race series will feature the world’s top obstacle course race, endurance runners, and functional fitness female and male athletes tackling 20-plus signature Tough Mudder obstacles over 10 miles for a chance to take home weekly cash prizes (up to $2,500). Top finishers will qualify for the championship and respective winning purse of $10,000 each for the first-place male and female finishers. The coverage on Facebook will feature live feeds from multiple obstacles throughout the course, “point of view” head cams and aerial drone footage, as well as behind-the-scenes “everyday hero stories” along with hosted commentary and engaged social interaction with viewers from Tough Mudder personalities Eric “E-Rock” Botsford and Kyle “Coach” Railton. 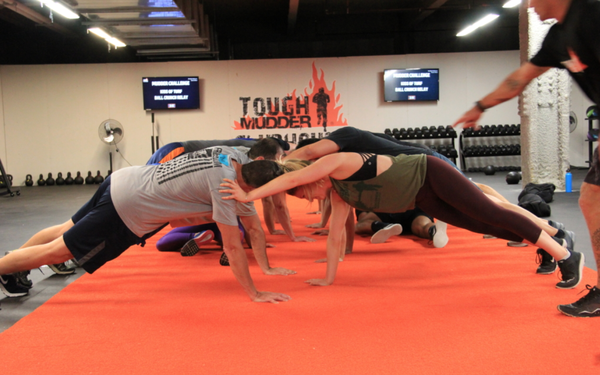 Viewers will also be able to get in shape with weekly with live fitness classes streamed from Tough Mudder’s new fitness studio offering, Tough Mudder Bootcamp. Tough Mudder’s training expertise and fitness content is coveted by millions of people within the Tough Mudder community, as well as by active lifestyle enthusiasts around the world. The brand’s other sponsorship and distribution partners include Merrell, Amazon, Jeep, Aflac, Guinness, Vega, Samsung, Olympus, Lucozade Sport, Nexcare, For Goodness Shakes, Bosch, TREK, Head & Shoulders, L’Oreal Men Expert, Käserei Loose, Snapchat and Live Stream.